Sunday UPDATE: Super he was. Man of Steel banked a booming $113M in its first three days ($125M total including Thursday night's Walmart screenings), besting Toy Story 3 ($110M) for the biggest ever June opening. Though it soared Friday, the bludgeoning via special effects took a substantial nose dive (-17.5%) Saturday. But its generous 'A-' Cinemascore bodes well for Superman's battle next weekend with Brad Pitt's zombie epic World War Z, a flick that's going to struggle mightily in attempts to recoup its rumored $220M+ price tag. Armageddon it is. Q: What do the following companies have in common: Walmart, Sears, Chrysler, Gillette, Nokia and Kellogg's? 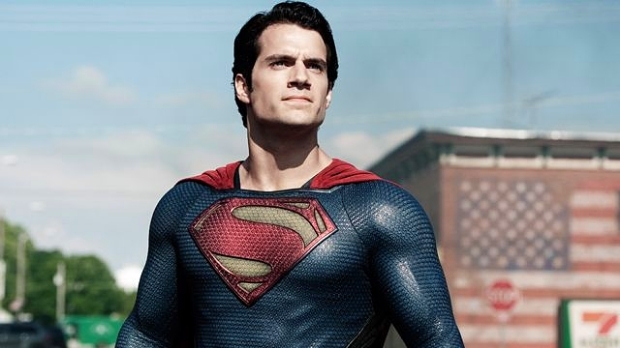 A: They're six of 100+ companies that have promotional partnerships with Man of Steel. Business geeks analysts estimate it amounts to roughly $160M in promo support, with the Krypton native's mug on products from cell phones to cereal boxes. Between that advertising bombardment and the recent lull in family-friendly tentpoles, Zach Snyder's $250M Superman reboot is seeing its stock soar entering its opening frame. The only thing that can take the leader of the Super Friends down? Reviews like the one that called the flick: "An ungodly overload of CGI that amounts to a special effects bludgeoning." Whoever wrote that is one twisted individual.